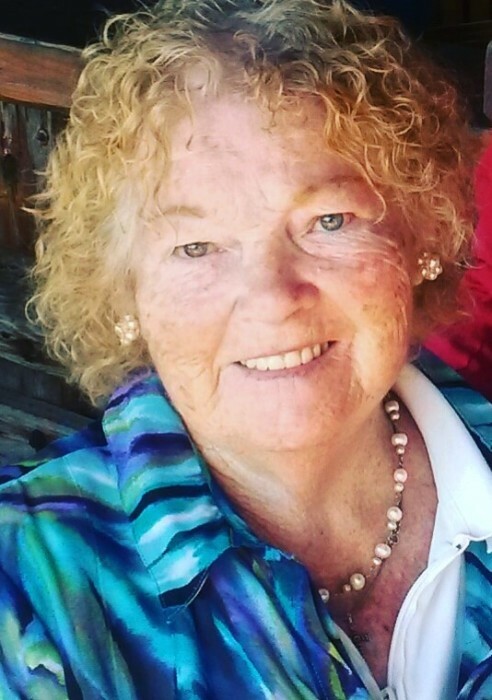 Teresa Mary Murphy (née Whitney), age 93, passed away peacefully surrounded by family on Saturday, September 8, 2018 at home in New Smyrna Beach. She was born to Patrick and Rose (O’Donnell) Whitney, the youngest of nine children, in Aughnacliffe, Longford, Ireland. Teresa was preceded in death by her husband, John F. Murphy, on the same date, 21 years ago. A mother of eight and grandmother of twelve, she enjoyed Irish music, gardening, bird watching, traveling, entertaining, a great laugh, and especially celebrating St. Patrick’s Day for the entire month of March. She was a member of LAOH, Catholic Daughters of America, Commodore John Barry Club, Council of Catholic Woman, Irish American Club. Teresa is survived by her children: Dr. Patricia Murphy, John (Carol) Murphy, Mary Murphy, Kathleen (Kevin) McKernan, Joan (David) Griswold, Bridget Murphy, James (Natthanicha) Murphy, and Veronica (Patrick) Murphy; twelve grandchildren: Jonathan Goldberg, Patrick Murphy, Thomas McKernan, Timothy Griswold, Luke Murphy, John M. Love, Erin Murphy, Maureen Griswold, Deirdre Love, Kasey Murphy, Zoe Murphy, and Teresa Griswold. A Mass of Christian Burial will be 10:00 a.m. Wednesday, September 12, 2018 at Our Lady Star of the Sea, in New Smyrna Beach, with Father Patrick Quinn T.O.R. officiating. Interment will follow at Sea Pines Memorial Gardens, Edgewater, Florida. Family will receive friends from 5:00-7:00 p.m. on Tuesday, September 11, 2018 at Settle-Wilder Chapel in New Smyrna Beach.